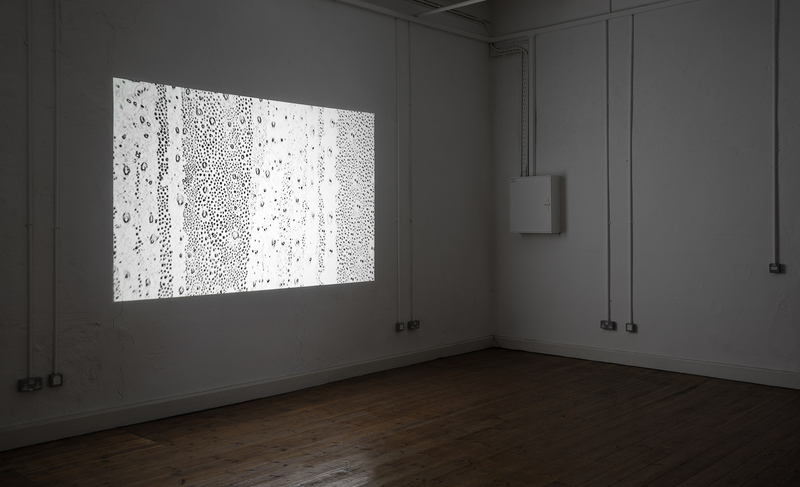 Chaos Game was created using time lapse recordings of condensation and frost formation on the surface of a custom made refrigeration system. The sequence starts with abstracted matter appearing on a white background and undergoing cycles of transformation from liquid state to solid and back to liquidity. Each subsequent cycle of freezing and melting generates a unique and unpredictable growth pattern. 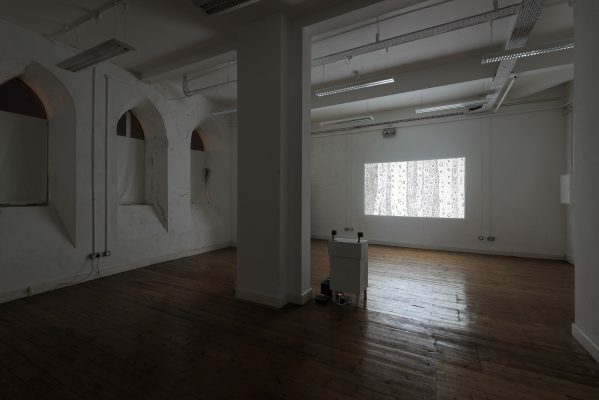 The visual sequence is accompanied by the sounds derived from experimentation with various man made and organic sources: boiler, refrigeration system, sink and rain. Viewed on a large scale, Chaos Game creates an immersive environment and causes multiple associations: from living cells or microorganisms to abstract drawings of an artist. The work aims to convey a process of growth and change and invites the viewer to reflect on the notions of chaos, time, impermanence and transformation.